I remember back when I heard about the first package-free store. 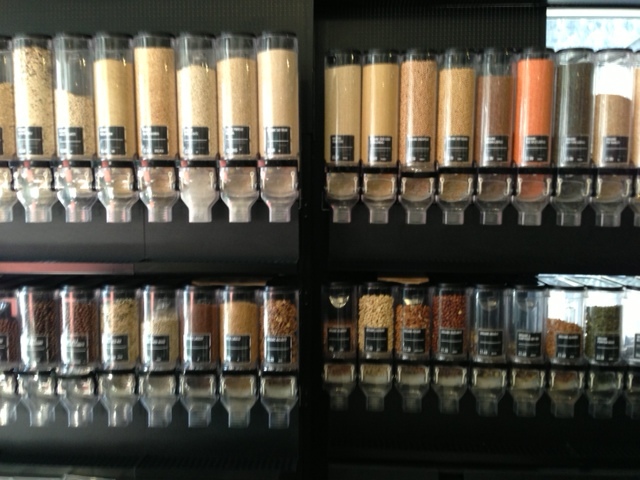 Unpackaged opened in London in 2010 and was a internet sensation the moment it opened (ok maybe only among us zero-wasters). The only downside – it was all the way over in England. Well since then, lots of things have changed. The bulk departments of our local stores are growing, the Soap Dispensary opened in Vancouver offering bulk cleaners, soaps, and toothpastes, and our farmer’s market began to stay open every week year round. 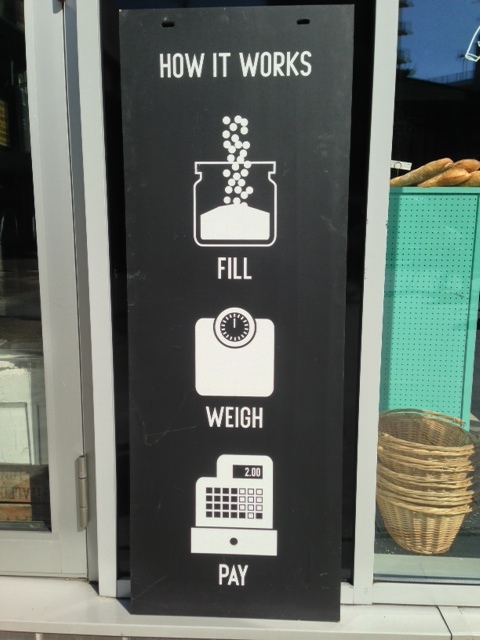 All these things make it much much easier to live zero waste, but I still had my eye on that first zero waste store. When Grant and I started planning a trip to the UK, I knew Unpackaged had to be on our list of tourist attractions. In perfect serendipity, the store ended up being just a 5 minute walk from the place we were staying. The most exciting part of Unpackaged is the bulk yogurt, something I have been unable to find in Vancouver. 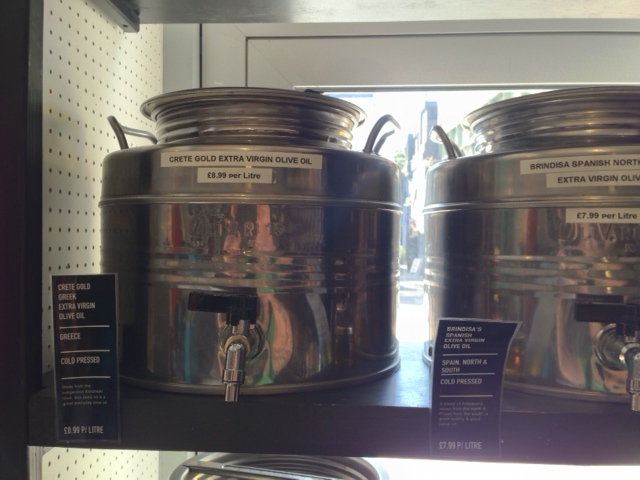 Second most exciting are bulk oils and vinegar which are sometimes available but not easy to come by. And now that we’re here, the achievements of Unpackaged are especially notable because, from what we’ve seen in London supermarkets, it’s pretty darn hard to live zero waste here. I’m talking 2 or 3 choices of package-free fruits and veggies and everything else wrapped in plastic. They do seem to have fantastic recycling with public bins everywhere and food scraps pick up at homes, but the key to reducing waste is catching it at the source, and it’s not easy here. So kudos to Unpackaged not only for doing what you’re doing, but for doing it in a country where pretty much no one else is! Living zero waste isn’t about deprivation; it’s about living with less and figuring out better solutions that just happen to not involve disposable packaging. And it’s about time we talked about beer. Beer is one of Grant’s very favorite things, and in Canada, all the major domestic brewers (Molson, Sleemans etc) refill their glass bottles. It’s a carryover from before the age of cans, and luckily it has stuck with us. We also have excellent take back programs (known in the US as bottle bills). That 10 cent deposit we pay on every beer can or bottle seems like a little thing, but it really works. The National Brewers Association reports that Canadians recycle 99% of their beer bottles – nice work everyone! Of course the metal caps and cardboard boxes are recyclable, but if you’re looking for a truly zero waste option beyond brewing your own, your best beer bet is to buy from a local microbrewery. 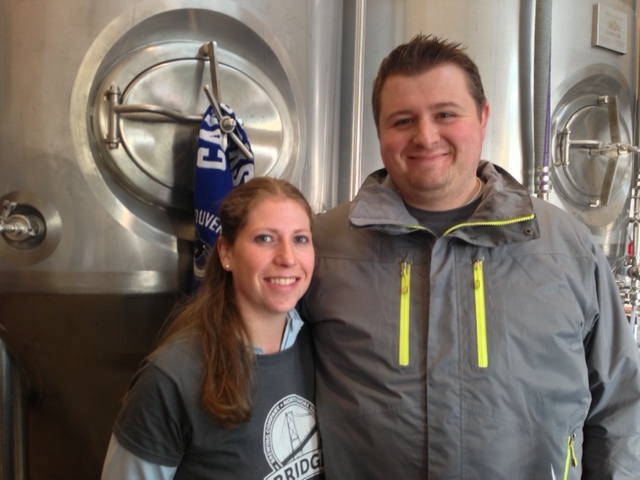 We recently visited Bridge Brewing in North Vancouver where we discovered that the owners Leigh and Jason are kindred souls in zero waste. They are a microbrewery in the truest sense of the word, recently upsized from a garage hobby to a full fledged business with a tiny tasting bar squeezed into a little industrial strip near the Second Narrows Bridge. They mill their own grain and compost it when they’re done, they wash caps for reuse instead of trashing them, and they’re looking for options for their grain sacks beyond recycling. They mostly sell growlers; large refillable glass jugs with reusable screw caps that hold just under a six pack of beer with no disposable packaging whatsoever! Leigh, who sports the awesome title of Director of Consumption, says she doesn’t like folks using plastic cups, so she even has a stock of glasses she lends out if you’re buying a keg. It’s this kind of customer service that makes me think that Bridge is going to be around for quite a while. Microbreweries mean you’re buying direct from the source – supporting the local economy, and getting a fantastic, package-free product to boot. 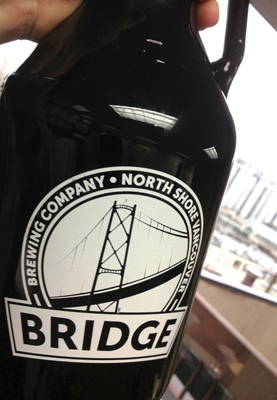 If you’re near North Van, swing by Bridge, and if not, post your favorite brewery that refills growlers in the comments! When my uncle (now in his 50’s) was a teenager, he had a job at a bakery. I want to imagine a lovely scene of steaming bread being sold from handmade baskets direct to customers, but in reality, I think they were a wholesaler here in Vancouver, so they just put the bread in plastic bags. The bags had two holes on one end which allowed them to hang from two rods, kind of like how they do it with bags at the grocery store. But one day the bakery got a new bread bag system which meant that their stockpile of two-holed bags was essentially useless. My Grandpa, ever the ingenious salvager, got wind of this and volunteered to take them home. 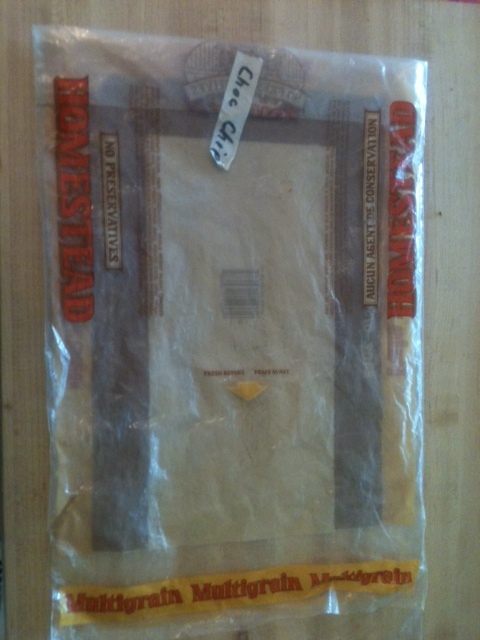 And that is why my Grandparents, and my Mom, and her three siblings, and their kids have been using these particular two-holed, multigrain bread bags for the past 30 some years. They’re surprisingly thick which makes for perfect for freezer bags. When I visit my grandma she’ll inevitably pull a zucchini loaf out of the freezer, wrapped in tin foil and stored in a certain two-holed, multigrain bread bag. Yes, I know it’s plastic, but I also know that it was rescued from a sure fate in the landfill, and to me, that is the spirit of zero waste. I am the first to admit that my homemade toothpaste is nothing spectacular. I mean, it cleans and all, but it doesn’t foam or give you that minty fresh feeling (which, in my opinion, is part of the point of using toothpaste.) I actually taught a DIY household products class the other night at the rec centre, and I was a bit embarrassed to even include the toothpaste. But I’ve recently found a recipe that makes everything ok. It’s mouthwash! 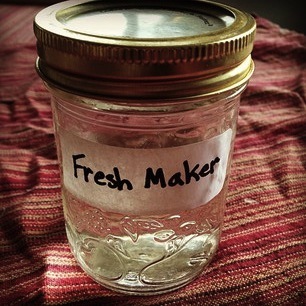 I had looked into homemade mouthwash previously, but was intimidated by the specialty ingredients (aloe vera juice anyone), but then I found a recipe that only included things I already had around the house. It’s minty, it’s super ridiculously cheap, and it doesn’t leave me with the plastic bottle guilt or the burning mouth sensation of commercial mouthwashes. Why the heck didn’t I try this earlier? Next up, I might try this spearmint tooth gel. PS, if you missed the 90’s and hence the term “freshmaker”, you might want to watch this mentos commercial. 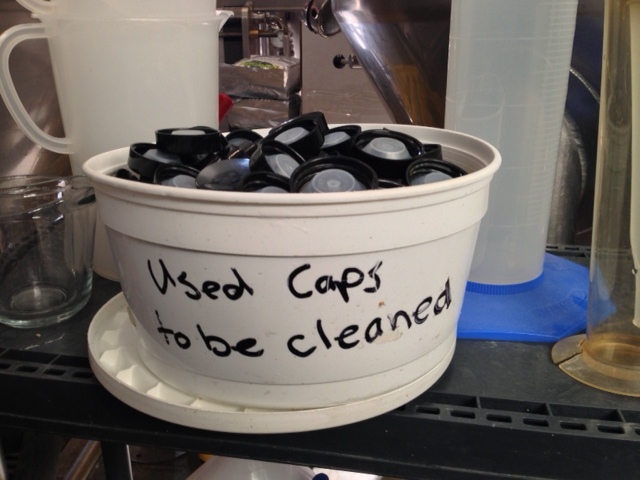 Sometimes it’s the little things that make my zero waste day. 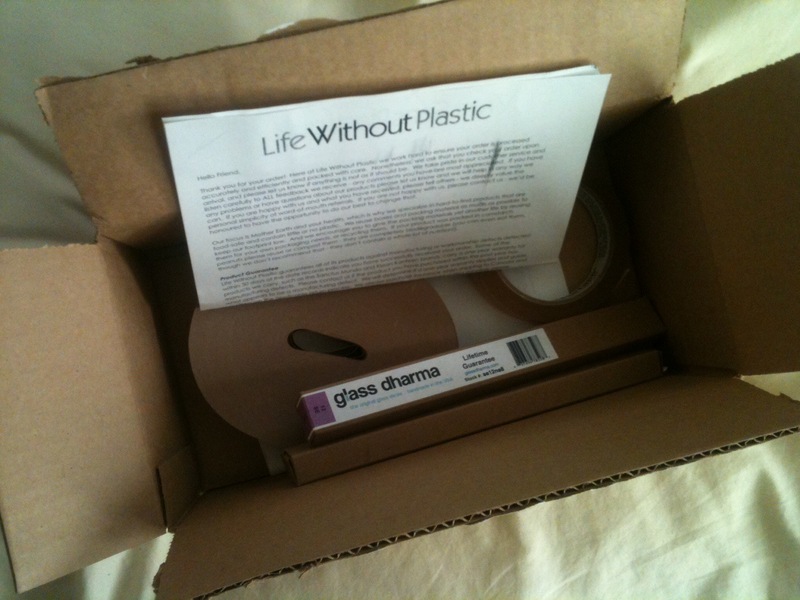 For example, a little while ago I finally ordered this tape from Life Without Plastic. I got some paper tape for sealing boxes and re-purposed envelopes and biodegradable, transparent, cellulose tape for gifts and other stuff (yes, I got a couple glass straws in there too). It’s funny that I’d get so excited about something as simple as tape, but it was driving me nuts that every time I had to stick a mailing label on a package or seal an envelope I was using something that was unrecyclable and non-biodegradable. How refreshing! Not a piece of bubble wrap or a packing peanut to be found. And I didn’t have to write some long winded letter to ask them not to include those things, they just do it. These little details make a big difference. Why can’t more companies be like this? At one of our zero waste presentations recently, someone brought up the point that many recycling trucks are driving around filled mostly with air: the air that’s trapped in all the tins and plastic bottles. The image of a truck to driving around with a load of what amounts to mostly empty space is pretty powerful, and that simple comment hit home! I always rinse containers out, and I like to think I’m a superstar recycler, but I’ll admit that I don’t always flatten my cans. It reminded me of this old Ridge Meadows Recycling campaign where they photographed community members from kids to local firefighters to the Mayor demonstrating how to “do the stomp”. So here’s my new pledge: I’ll be taking an extra 30 seconds wash and squash the stompables in my recycling bin from now on. Hopefully with us all doing it, our recycling trucks will save one or two extra trips. If you just discovered us through CBC Radio or CBC TV today, then welcome! “Just Eat It” is our current film about food waste. You can learn more about it at www.foodwastemovie.com. The Clean Bin Project was a zero waste challenge we did back in 2009. You can learn more about the documentary “The Clean Bin Project” here.